Are you ready to get a premium shipping container in Fruit Heights UT for less than premium pricing? Good! Haulaway Storage Containers, Inc. offers exactly that. We know the benefits that come from having a storage container onsite. We’re confident that you will love the time, money and energy you save by renting with Haulaway. Portable storage is a superior option to conventional storage because, well, it’s portable. With fixed storage units, you have to lug all of your belongings to the unit. Then, wherever you need something, you have to drive all the way back. This is extremely inefficient, not to mention annoying. We have done away with the need to travel to a unit. Now the storage comes to you. We will deliver a shipping container to most any Fruit Heights UT home or business. It’s like you’ve just added an entire storage unit onsite without the cost or hassle of actually building storage. When you’re through, we will come back to pick it up, leaving no trace behind. You will just be left with a job well done. Your storage container will arrive on time, every time. It will be clean and ready for immediate use. Our containers range in size from 10’ to 40’. Our 10’, 21’ and 26’ models have double door on both ends. This lets a cool breeze blow through. It also makes loading and unloading much easier. They are also protected by high security locking systems. Our 20’ and 40’ models are protected by our patented Rhino Locking System. Their walls are made from 14 gauge steel. This beefed up security will keep your possessions safe and sound. 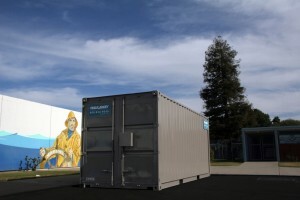 Haulaway Storage Containers blends affordability, security and convenience. If you have any questions please feel free to contact us. Also, you can receive a free quote about renting a shipping container in Fruit Heights UT by inquiring online or via phone.